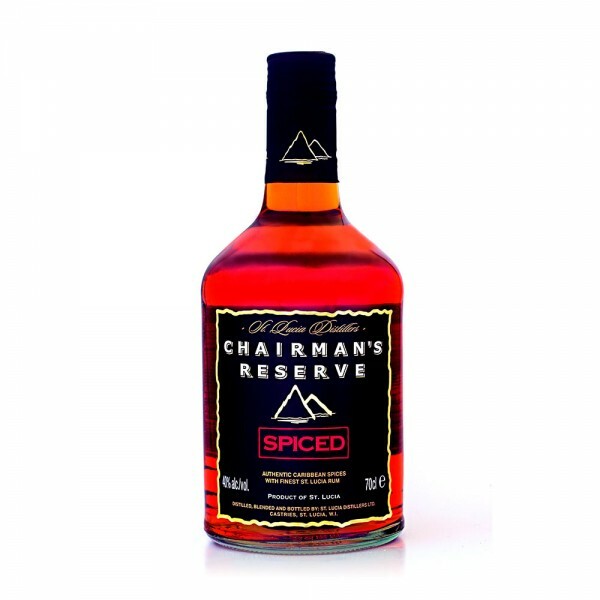 Chairman’s Reserve Spiced is made with the same high quality aged rum as Chairman's Reserve Finest Rum. It is infused with Caribbean spices and botanicals, including cinnamon, clove, nutmeg, lemon, orange, almond, and local speciality bois bandé - a wood traditionally used in rum shacks to infuse in high strength unaged rum, and considered locally to be a powerful aphrodisiac. Some of these spices are left to macerate in aged rum for well over a year. Try Chairman’s Reserve Spiced over ice with ginger beer or cranberry juice for a refreshing long drink.